Well, we just ordered a Google Home for the Chrome Unboxed office, and I can’t wait for it to arrive. Interestingly, I’ve had a Google Home since it launched, but it normally gets relegated to tasks at home and random fun with the kids. You know, recipes, timers, lyrics, and other facts tend to be my main use for Google Home. Today I had to spend the lunch and afternoon hours at home with the kids. Not the easiest work environment as my kids are super-active and being at home makes me want to just chill. I was able to focus in and get set up to get some work done, however, and part of that process is having music playing. At work, I have the Sony h.ear Go speaker that I reviewed not too long ago and it is great. But, the ability to sit down to work today and just say, “Hey Google, play the new Imagine Dragons album” and have a really rich, room-filling speaker deliver the goods was pretty awesome. I hadn’t thought about it as just a music player until today, to be honest. As a smart speaker and home for Google Assistant, I tend to think of Google Home as more of a helper, not just a speaker. However, with the ability to queue up music with just a voice command, I am seeing this thing in a whole new light. Not having a device (like my phone or Chromebook) casting at all times during the day is liberating for some reason. I know, I know, casting doesn’t eat up resources on my phone or Chromebook, but there is something refreshing about just telling Google Home to play music and forgetting about it. The reason I didn’t buy a Google Home for my desk when it launched was the fact that it has to remain plugged in at all times. I used to work remotely a lot more than I do now, so a speaker I could grab and take with me was of high priority, but that priority isn’t as much of an issue now. Most days I work in the office and when I’m elsewhere, I use my headphones. Having a plugged-in speaker isn’t a big deal now. So, now we have a Chrome Unboxed Google Home on the way and I plan on using it for music pretty much every day, but there’s still part of me that would love just one more feature: a battery. There are great speakers all over the place that pump out great sound and are run off a battery. Google Home should be able to do this without much issue at all. There’s likely some room they could make inside the existing chassis to accommodate a battery big enough to last 8-12 hours. 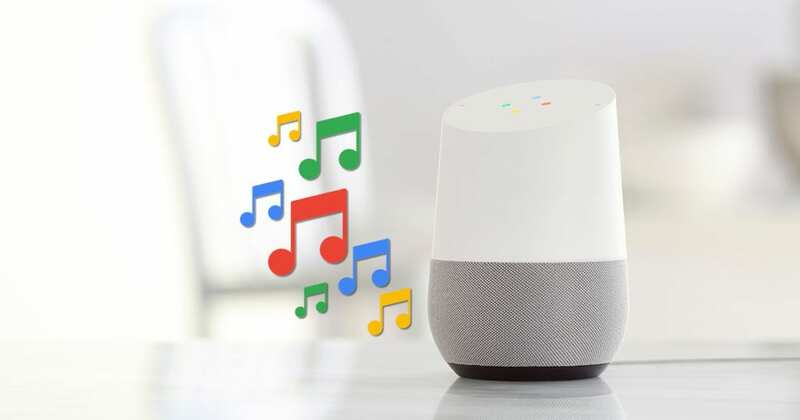 Let us not forget the new ability of Google Home to also be able to play music via Bluetooth. With the simple addition of a battery, Google Home could completely replace a myriad of bluetooth/Chromecast speakers out there while also being an amazing smart speaker, too. At the $99 price it tends to go for most of the time, the cost of ownership would make a battery-powered Google Home a no-brainer for anyone in the market. For now, I’ll enjoy using Google Home as-is, but my hope is battery operation shows up in the new version of the device, whenever we do end up seeing it. Who knows, maybe Google is listening.